This week, an [article] was published that examined the remains of Lucy. You may know of Lucy – she is a specimen of the hominoid species Autralopithecus afarensis. This species is a relative of modern humans that lived around 3.2 million years ago. She was found in 1974 and is relatively complete, making her very valuable and rare. 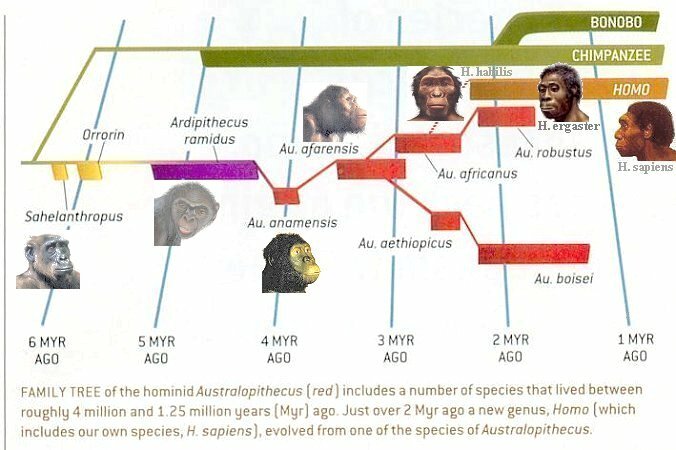 Evolutionary tree of hominids. Time is along the bottom in millions of years. Lucy is a species of Australopithecus afarensis. From here. Lucy is usually housed in Ethiopia, but was recently traveling the US. While in Texas, she was CT scanned by the University of Texas at Austin CT facility. CT scanning allows 3-dimensional models to be made of the fossil, so that more studies can be done on the same specimen without worrying about breaking the original fossil. 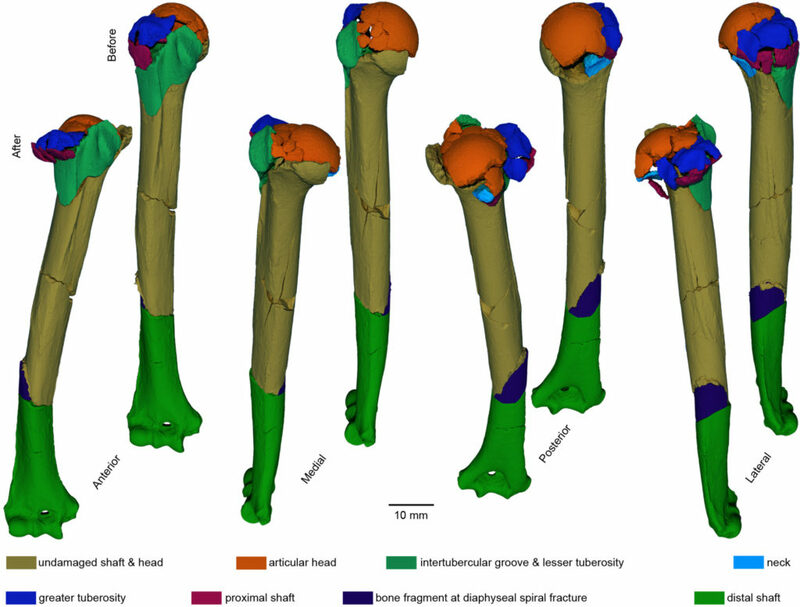 Figure S1 from the article showing the different breaks in the humerus. The CT scans shows multiple bone breaks in both humeri (the upper arm bone), the femur (upper leg bone), ribs, hips, and skull. The types of breaks she has are consistent with what doctors see in patients that have fallen from a great height. Even more shocking is that some of the breaks show that Lucy stretched her arms out while she was falling to try to protect herself. The bone breaks tell us that the height she fell from was too much and that her organs would have been injured as well. Sadly, Lucy probably died from these injuries. Fortunately, modern medicine and scientific methods were able to come together to tell us her story.